Over a century of finding better ways to help at-risk youth has convinced us that teenagers thrive on responsibility. Here are four cornerstones of the philosophy that sets Boys Republic apart from other youth-serving agencies. At Boys Republic, we make every effort to avoid relieving youth of the responsibility and burden of making decisions and managing their own lives. Require them to be accountable for their behavior, their attitudes and even their mistakes and they, in turn, will act responsibly. Set clear expectations and provide relevant learning opportunities — troubled teens will develop the skills and outlook to become contributing, self-reliant members of our communities. At Boys Republic, student government and daily group counseling provide the forum within which troubled youth may experience the challenges and rewards of responsible living. Conventional values flourish in a setting where students can openly examine their behavior and have an active voice in determining the norms by which they live. Self-esteem is earned one accomplishment at a time and cannot simply be prescribed therapeutically.  Through instruction and practical application, Boys Republic youth follow a structured program of learning opportunities in academics, work experience, student government and group interaction. Each personal accomplishment is an important step earned toward responsible adulthood and self-reliance. Boys Republic’s motto is “Nothing Without Labor”. Our goal is to teach disadvantaged teenagers good work habits, which are essential for successful employment. Punctuality, cooperativeness with others, diligence, care for tools and equipment, and ability to take direction from a supervisor are all habits that may be transferred from Boys Republic to any job in the community. These habits are reinforced in multiple vocational training environments so that soft skills combine with specific training and instruction to make Boys Republic graduates an asset to any employer. The overall goal of the Boys Republic residential program is to provide a 24-hour residential therapeutic milieu aimed at treating diagnosed emotional, behavioral, psychological, and educational problems of adolescents/nonminor dependents, and at orienting these youth toward greater attachment to conventional institutions. Boys Republic treatment program utilizes a peer-accountability model within the context of the residential therapeutic milieu to assist students in reaching their treatment goals. A primary focus of the Boys Republic treatment philosophy is to utilize a group therapy approach to support adolescents in developing pro-social interpersonal skills, to learn and apply adaptive coping strategies, to correct maladaptive and delinquent behavior, and to be able to provide this in a social context. The therapeutic milieu incorporates the principles of support, structure, repetition, and consistent expectations to bring about these intentions. Further, the Boys Republic intervention model draws from positive youth development recognizing that all youth have the inherent capacity for positive growth. That growth occurs within the context of nurturing relationships that focus on the increase of developmental assets of each student within the milieu and the reunification community. The cornerstone of the Boys Republic treatment program is the group, which provides an idealized setting for a student to work through their behavioral, emotional or psychological problems. Students are also provided with the opportunity to participate in a variety of activities which encourage constructive social behavior and adaptive coping skills. Within the group, students are then able to practice the implementation of new skills or try out new behaviors. Further, while at the Boys Republic therapeutic program, students are supported in developing positive associations with educational services, which are provided by the WASC-accredited high schools affiliated with each of our programs. An additional key element of the therapeutic milieu is the development of self-governance where students learn developmentally appropriate responsibility of self as well as interdependence with others. For each student enrolled at Boys Republic, the therapeutic milieu team conducts assessment, develops individual plans and delivers treatment based on the individual needs of each student in a culturally sensitive manner and within the parameters of a trauma-informed framework.